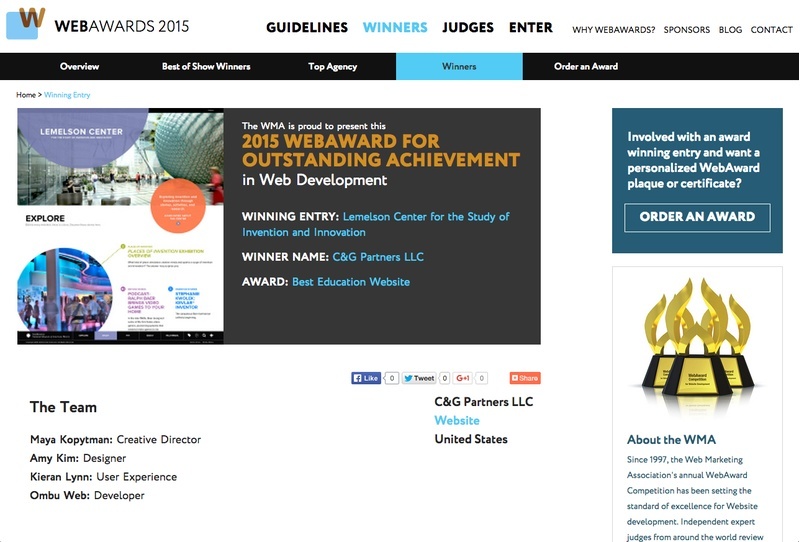 C&G Partners web design work for the Lemelson Center for the Study of Invention and Innovation won a Web Marketing Association's 2015 WebAwards. The new site, which launched in 2015, has won Best Education Website. Congratulations to our partners at Lemelson Center and our team! Visit Lemelson Center for the Study Innovation and Invention here. View all 2015 WebAward Competition winners here.